Grab a latte and pull up a chair and join us for a great interview with James Mohrman, Director of Investigations, Mohr Information Services, LLC. Before joining the background screening industry, James I was (and remains) a private investigator. In the late 1980s he became a licensed private investigator and worked a wide variety of cases to include insurance fraud, domestic surveillance and even spent time undercover investigating drug use in the workplace. He also spent time in various courthouses and government centers obtaining criminal, civil, corporate and other public information documents. 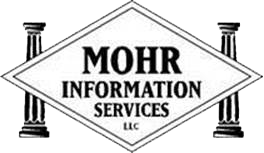 In 1993, he left a nationwide investigations firm to start Mohr Information Services, LLC. James noted that on October 1, 2018 the firm will celebrate their 25th year in business during a timeframe when the world changed more with regards to technology than any other time in our planets history. He smiled and said, I look forward to providing my current and future clients with actionable intelligence for another 25 years and beyond. He reflected for a moment and then said: My company pours through complex dockets, sentencing agreements and maintains statute books for all states that we cover. Criminal court research is actually very complex and requires a highly trained and skilled workforce to perform it. With rising minimum wages sweeping the country and an industry severely focused on price it creates a great challenge to retain talented court researchers, especially when competing with some fast food chains. An industry so driven by price frequently sacrifices quality. He proudly exclaimed how hard his employees work on a daily basis and that 25 years ago, he made a choice not to sub-contract out his work product and many of his employees have 10, 15, 18 years experience with the company. He believes that this provides a higher quality product.